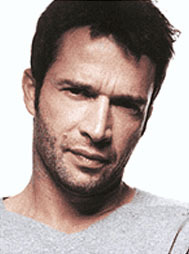 British actor James Purefoy began studying drama at age 18 and soon realized acting was his calling. He went on to perform on the London stage and several British television serials. After appearing in a handful of films, Purefoy went to Hollywood and scored roles in A Knight's Tale, Resident Evil, and Vanity Fair.